If there’s one biologist you know, it’s probably Charles Darwin, who is famous for developing the theory of evolution…or so you were taught since infancy. 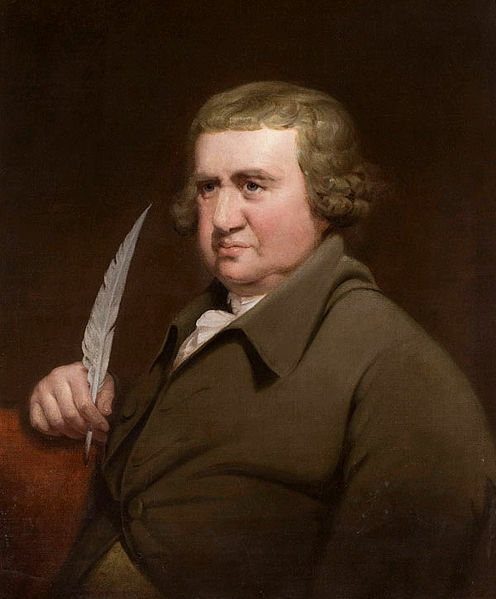 The quill pen is mightier than the sword, but Erasmus Darwin was probably better than you with both. This was from The Temple of Nature, written five years before Charles Darwin was born. But he didn’t stop there. Other works of his show evidence that Erasmus also came up with the idea of natural selection and life emerging from a single organism. And Wikipedia has a much earlier, weirder “evolution” poem penned by Erasmus, and we’ll just have to trust what they say about it. So what does a brilliant, 330+ pound man do when he figures out that reproduction (along with awesome poetic skills) is the key to immortality? Well, he fathered 14 known children with two wives and a mistress, and probably also fathered a daughter who went on to marry a guy named John Hardcastle and become mother-in-law of a guy named Francis Boott. He had five children with his first wife, Polly Howard, including Erasmus Darwin II and Robert Darwin, who would become Charles Darwin’s dad. When Polly died, Erasmus hired a governess to care for Robert, and then had two children with her. Then, after that, he met his funny-named equal: a married woman named Elizabeth Pole – daughter of Charles Colyear, 2nd Earl of Portmore. 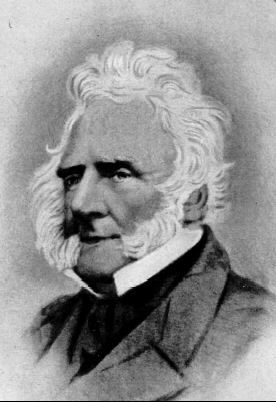 Sir Francis Sacheverel Darwin, who helped advance his father’s theories by proving that funny names and awesome hairstyles are inherited traits. He courted Mrs. Pole with poetry for five years until her husband kicked the bucket, and then he married her and moved into a house called Radbourne with her, and had seven more kids. Most notable among these were Frances Ann Violetta Darwin (who would marry Samuel Tertius Galton), and Sir Francis Sacheverel Darwin, who clearly followed in his father’s footsteps. It was only then that he came up with the evolutionary theories that justified how awesome he was. He wrote two long poems called The Loves of the Plants (which was the first recorded account of evolution-esque theories) and Economy of Vegetation, and then penned his most famous work, Zoönomia,and then inspired some of the most significant thinkers of the 19th and 20th centuries. And, finally, in order to join Sir Stamford Raffles and Churchill Babington in the holy trinity of funny-named botanists and bird lovers, he invented a tiny artificial bird. Because… well, why not? This entry was posted in Greatest hits and tagged awesome, awesome people, bird lovers, botanists, botany, fashion, funny, funny names, history, humor, inventors, names. Bookmark the permalink. Well… I didn’t know that! Both entertaining and educational, what more could you want!!! Thanks! I appreciate that. That’s our goal with all of our posts, so it’s great to hear positive feedback. I got a kick out of your curious names collection. But the Darwin family story was pretty cool too. I have a feeling you might appreciate the amusing character names of the brilliant album comedians, the Firesign Theatre. I’ll have to check it out. Sounds interesting. Loved the post, and Thank You for visiting my blog. Thank you! Erasmus was a very impressive fellow, as were his wives, apparently. I enjoyed this post. Packed with stuff I did not know before and very entertaining! I imagine Erasmus influenced Charles. Yes, Erasmus had a theory of evolution … but not the same one. Haha, glad you could clear that up!